It's a portable project case which can keep your papers and projects organized when you on travel or in the office and prevent the loss of important documents, wrinkle or damage. It also can store electronics, e-readers, tablets, charger cordsor and other office supplies storage when in office or on the move. This A4 file case will protect important documents and goods in your bag. 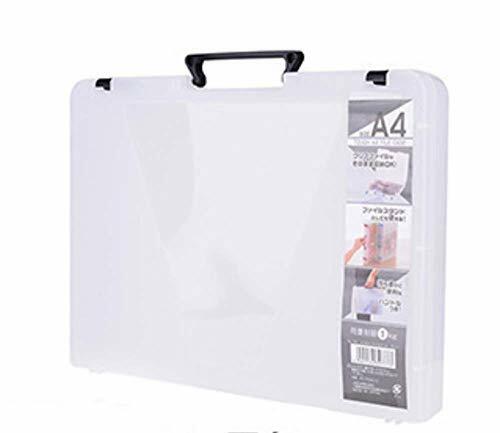 It is the best A4 file case for school, office and daily life. If this A4 file case has any quality problem, simply contact us to return it. Damaged item or parcel missing, resend or refund is available. If you have any questions about this product by Lucky Charm, contact us by completing and submitting the form below. If you are looking for a specif part number, please include it with your message.